Dave Williams is a passionate communicator with a strong commitment to promoting the independence and potential of blind people. Dave’s professional background includes: IT training, volunteer management, public speaking, audio production, voiceover narration, digital marketing, agile design and assistive technology product testing. Visit the Accessibility and Audio pages for more details about Dave’s work. Dave is an active volunteer currently supporting RNIB’s Online Today service- helping people with sensory loss to get online. Dave also volunteers as the acting chair of the Braillists, a community of people passionate about promoting the value of braille. To recognise Dave’s commitment to volunteering, in 2002 he received a National Millennium Volunteer Gold Award for helping raise disability awareness in Portugal. As a keen cyclist, Dave completed Prudential Ride London in 2014 and 2015, raising funds for Blind Veterans UK. He was also appointed captain of the Worcestershire Elizabethans blind cricket team in 2015, the team finished 3rd on their debut at the national blind cricket development weekend. In random acts of thrill-seeking, Dave has driven a power boat, completed 2 skydives, ridden a camel and in a hot air balloon. 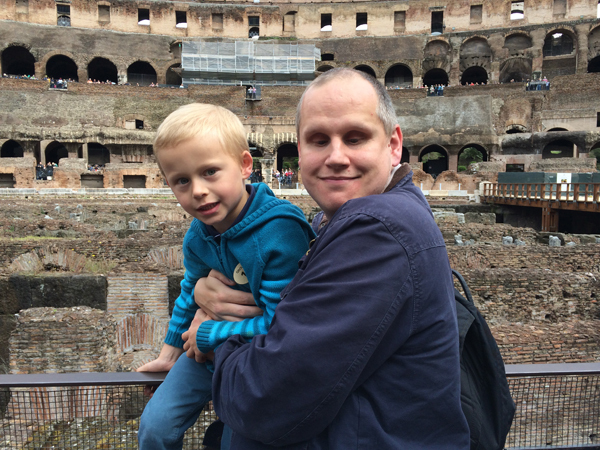 Dave is also a dad, accessibility advocate, LFC fan, single malt ambassador and Cunarder – spending 50 nights at sea.